The Wilson Group and its President and CEO Derrick Wilson were featured during one of Pittsburgh’s major supplier diversity events, SHARE 2018. Over 300 top regional economic powerhouses and community organizations were gathered at the Rivers Casino. 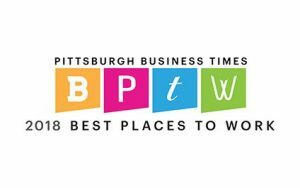 The SHARE event offers the unique opportunity to unite the Pittsburgh region’s most prominent corporations and institutions with minority, women and disadvantaged business enterprise suppliers to expand opportunities and increase growth among area MWDBEs. Humbled and honored to be one of three businesses featured, Derrick pointed out that his participation in the previous SHARE events has been helpful and beneficial to his business. It was during a SHARE event where he met Blayre and Horace Britton owners of CDI Printing and forged a business relationship. CDI Printing was also featured during SHARE 2018.